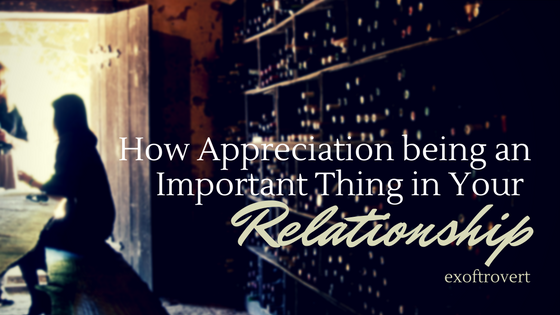 How Appreciation Being an Important Thing in Your Relationship - In married life, sharing the role of the couple is important. For example when I cook, then my partner who will wash the dishes after eating. Or when I clean the house, then my partner will clean the outside of the house. I assume this is a common thing in every household, even without having to talk about it, everyone will take on their respective roles in this work. Even when we want to make a journey, we unconsciously share the role to pack the goods. The ability to share roles with a partner can be a tremendous advantage in your relationship, as long as both partners feel comfortable with their respective roles. But there is a weakness in sharing a role that is never discussed together, that is when you start doing something regularly and then suddenly the task becomes a 'job' you have to do. And your partner begins to expect you to continue working on that 'job'. In that expectation, there are times when it does not create gratitude for feeling it must be done. The appreciation required is not only fun but also as a sign you appreciate what you have done. Because with the appreciation, something that fitting must be done can turn into something to be done. Berger and Janoff-Bulman (2006) quoted from psychologytoday, who are doing research on couples who appreciate each other's work done by their partners and their relationship is much more harmonious than other couples who do not appreciate each other. They find more and more appreciated, the more they want to do. Being spelled out for some couples, do more household chores that like the way they want to be dissatisfied with their relationship. Don't just pay attention to the work they have to do and give it some excuses because they do not do it well, you think. It often happens. You may not realize it until you're sure your partner is actually asking, "You do not want to keep the garbage outside while you've always made the trash!" So take the time to give appreciation to your partner, prove you are grateful and feel helpful. If your spouse works outdoors, praise that your spouse doing a good thing. And if your spouse is working at home or staying at home, then praise for what they have done, including doing housework. Make sure the work you think is easy - answer glasses, hang clothes, and sweep the house - you already appreciate while you do not want to do.